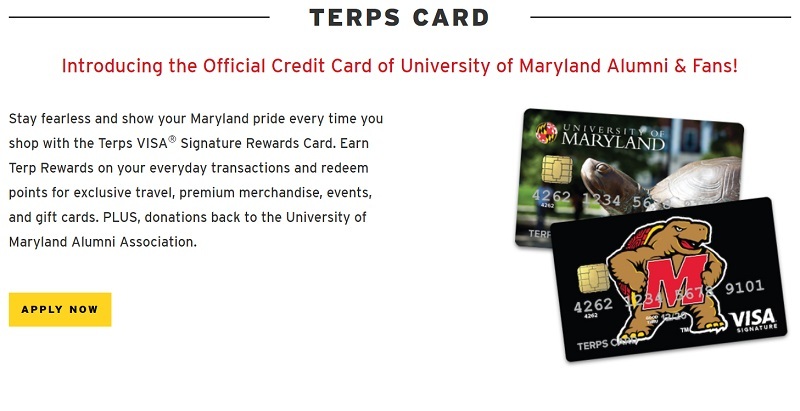 As clearly shown, Terps Credit Card is allowing you to get 50,000 bonus points when you spend $5,000 in the first three months. In addition, you can earn 10x points on all University of Maryland purchases and 1x on other purchases. If you’re interested, take advantage of this offer soon because it’s only for a limited amount of time. Please continue reading if you would like to know more. This card works for anyone who either goes to or is an alumni of the University of Maryland because it gives you 10X points on University of Maryland purchases. Terps Credit Card: If this bonus appeals to you, click this link to apply now! For this offer, you’ll receive 50,000 bonus points for spending $5,000 in the first three months. Apply for the Terps Credit Card to earn a great bonus of 50,000 bonus. 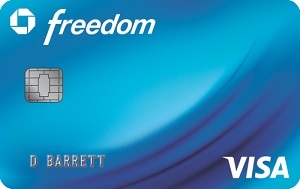 With this card you don’t have to worry about annual fees. This card is pretty much a standard card that will give you everything you need, so definitely consider this card if you’re not looking for anything really special but will get the job done. Provide feedback in the comment section below by telling us your thoughts and experience with this card. Make sure to visit BankDealGuy to check out our list of credit card bonuses. • Earn a $200 statement credit after you spend $1,000 in purchases on your new Card within the first 3 months. • 6% Cash Back at U.S. supermarkets (on up to $6,000 per year in purchases, then 1%) - that means spending $60 a week at U.S. supermarkets could earn over $180 back per year. • 3% Cash Back at U.S. gas stations. 1% Cash Back on other purchases. • You spoke, we listened. Over 1.6 million more places in the U.S. started accepting American Express® Cards in 2018. • Cash Back is received in the form of Reward Dollars that can be easily redeemed for statement credits, gift cards, and merchandise.